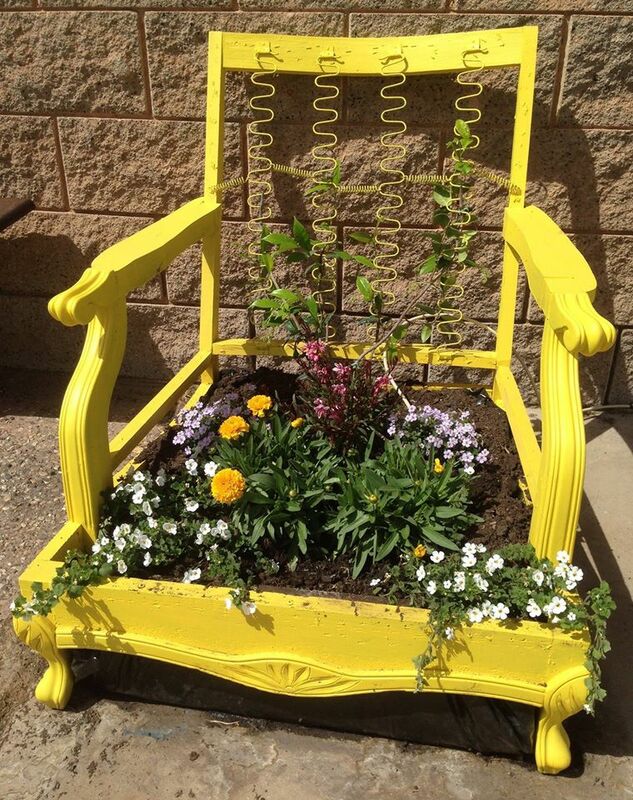 Jen's Furniture Rehab​ is ready for spring! "Now this was a fun project!! It took two days and myself and two helpers to remove every bit of the stuffing and about 5 million staples from this chair!! 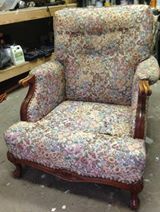 I would refer whoever upholstered this chair to everyone!! Once it was naked, I covered it in General Finishes Sunglow Milk Paint, and since it's rated for outdoor use, I skipped the sealer! By the end of the summer, I hope to see it fully engulfed in a different kind of floral beauty!!"